The new 2018 season began with many test days, taking advantage of the great fall weather. The results of the test days will influence the design and construction of the GFR17e during an exciting winter development time. In the beginning of October, the DHBW Ravensburg team focused on testing tires. A range of tires available on the market were compared. The first weekend in October was used to break in the tires, and on the following weekend the tires were tested by multiple drivers on various courses. The speed was also varied on surfaces with different profiles. This allowed the drivability of the car to be observed and the tread wear to be compared, in order to give an accurate report on the applicability of the potential new tires. And of course, the drivers feedback was very important in the considerations. 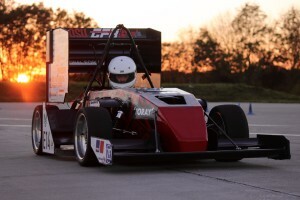 After a successful completion of the tire tests, the aerodynamics team was able to run their own tests on the GFR17e. Each test was done at varied speeds. To ensure comparable conditions, the air pressure and temperature was measured during the tests. The results were compared to CFD simulations under same conditions for validation. Already having so many test days at the beginning of the season is very valuable to the team and we will be very thankful for them as the season goes on. 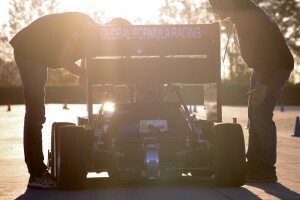 There are difficult times ahead, in which the team will work on designing and producing parts, so that GFR18e can be built together in the coming months. We would like to thank everyone for their support in the coming weeks!